Cherry Hill resident Meredith Schalick has enough on her plate, as a professor at Rutgers Law School of Camden and a single mother to a 7-year-old daughter. But fate has thrown her an additional burden, one that would send most running for cover, but one she has decided to confront, press on and fight. Her daughter, Emilia Schalick, was 2-and-a-half years old when doctors diagnosed her with Alternating Hemiplegia of Childhood, a disorder that has so far been found in only 900 people worldwide. Emilia is now an active 7 year old who attends Thomas Paine Elementary School, but who still fights bravely each day to combat AHC’s effects. On Nov. 3, friends and family are holding “BBQ, Beer & Baskets to End AHC” at the Collingswood Community Center from 6 p.m to 11 p.m. The event will feature food, beer from Flying Fish Brewing Co., wine and dozens of silent auction items donated by local stores, restaurants, hotels, spas and sports teams. “The room can hold about 100 people for a sit-down dinner event. Then we have about 60 different items donated by local and national businesses for folks to bid on. Local artists have donated paintings, jewelry and free photographs. Everyone has been so generous,” Meredith said. It has only been in recent years that doctors and researchers have been able to learn exactly which gene causes AHC. The ATP1A3 gene, which provides instructions for making one part of a protein, was finally singled out just six years ago as the gene responsible. Since that time, researchers have identified approximately 30 mutations associated with AHC. The disorder affects children in different ways. Emilia has seen her fine and gross motor skill development impaired. Meredith joined the board of the AHC Foundation in 2017 to spread awareness, support other families, and help direct research for a cure. Since the disorder impacts so few people, there is little financial incentive for drug companies and researchers to develop costly treatments. As a result, AHC families themselves take up the responsibility for raising money. Over the next six months, Schalick said she hopes to raise $30,000, which she calls “very ambitious” but necessary. 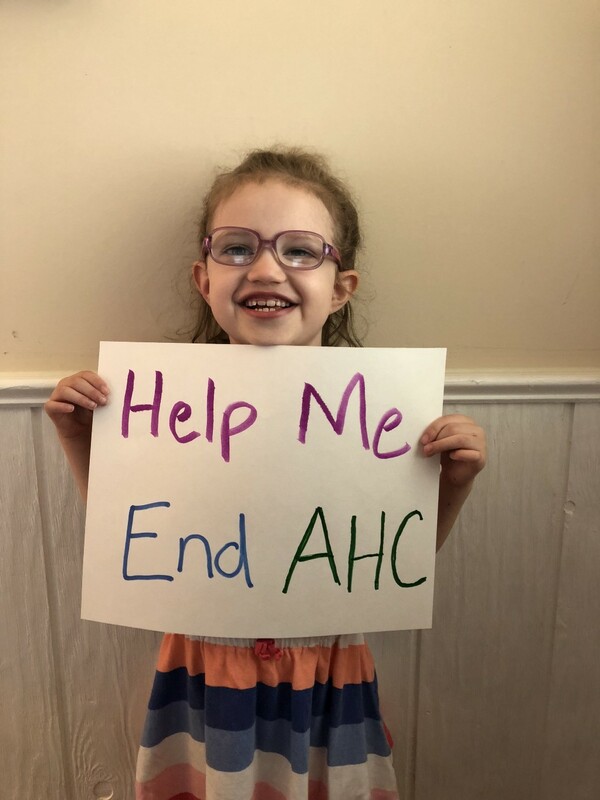 As for the AHC Foundation, it is trying to raise $500,000 for an innovative gene therapy project that will show using a viral vector to deliver a functioning gene can cure the disorder. To do that, the necessary viral vectors have to be developed, then have to be tested on mice, and if everything goes to plan, the hope is that it will lead to clinical trials within the next three years. The need to fund research is so pressing that, before the main event, Schalick managed to team up with Five Guys Cherry Hill (located at Market Place at Garden State Plaza) to host another separate fundraiser that will happen two days prior, Nov. 1, from 5 p.m. to 8 p.m.
“Five Guys immediately responded to the letter I sent them, said they’d be happy to donate some meal vouchers for the auction, but also said they’d like to do an individual event at the restaurant for me and Emilia. They typically only donate 10 percent of the proceeds (from any charity event) but that night, they’re going to donate 20 percent,” she added. Schalick mentioned she hoped the windfall from both events would yield around $15,000. 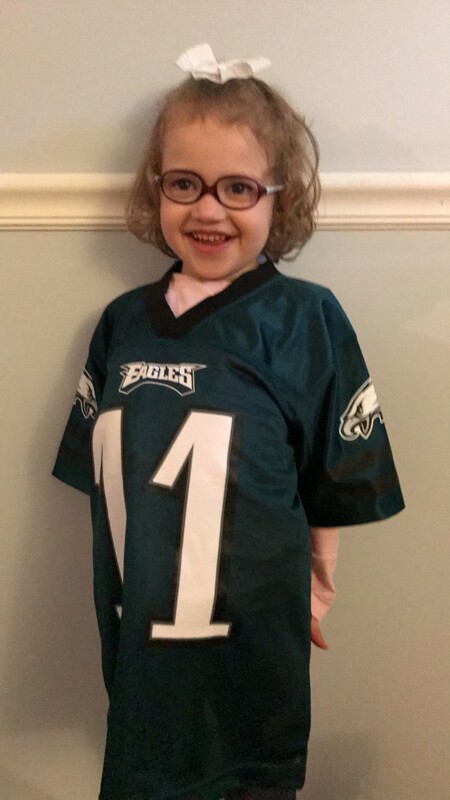 Attracted by the school district’s policy toward children with special needs, Meredith decided to move to Cherry Hill so Emilia could attend Barclay Early Childhood Center. Emilia did well during her time at Barclay, and did not have a tough time transitioning to Paine Elementary last year. “They’ve been remarkable with her. Very supportive, very motivating, very understanding. Paine has a real belief in inclusivity, so even though Emilia spends most of her day in a multi-disabled classroom, she also spends 30 percent of her day in a typical classroom. The kids have been welcoming and supportive of her,” she said. For the type of AHC Emilia has, no medicine exists to reverse the effects of an episode, and triggers generally depend upon certain environmental factors. They can be brought on by anything from feeling excitement to changes in weather or catching a cold. However, for nearly everyone afflicted with AHC, sleeping usually puts an end to an episode. Waking up, though, is part of a great unknown that keeps both mother and daughter on their toes. “She is a warrior. Every day, we wake up and we don’t know what kind of day it’s going to be. Even if all her limbs and extremities are working, she may have severe ataxia (shaking), so it’s very hard for her to write, or use scissors, or do any of those fine motor skills kids need to do,” Meredith said. Meredith also admitted Emilia’s worst days occur when she is stricken, out of the blue, with either full-body or half-body paralysis. Because she is unable to walk, she has trouble keeping her head stable, or positioned properly on top of her neck, which can lead to breathing issues. Those are the days Meredith worries the most about Emilia choking or aspirating on her saliva. Regaining her composure, Meredith came across as remaining deeply dedicated to her work to gain badly-needed funding and remaining sharply focused on the primary goal of eradicating this unpredictable disorder. “We know what the finish line is: the cure. After 25 years of research, this is the first attempt at actual effective treatment that has helped other nervous system disorders. We’re hoping that using viral vectors can rescue the ATP1A3, which is the malfunctioning gene in kids with AHC,” Schalick explained. Tickets for the Nov. 3 fundraising event are $50 and fully tax deductible with every dollar being donated to the AHC Foundation. You can purchase them online at: ahckids.org/bbqbeerbaskets4ahc/. For more information about the event, please contact Schalick at (267) 872–3204 or meredith@ahckids.org. To find out about the AHC Foundation, contact Lynn Egan at (650) 796–1910 or lynn@ahckids.org. ahckids.org or send to: AHC Foundation, 2000 Town Center, Suite 1900, Southfield, Mich., 48075.